Although the Woman’s Club was not formally organized until 1922, it had its beginning in 1902. It was the outgrowth of study clubs Plant City Women had been enjoying for twenty years. 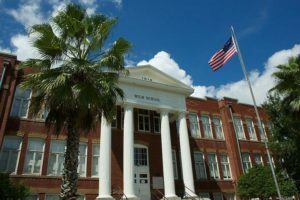 The Woman’s Club of Plant City was officially organized January 29, 1922 in the auditorium of the Plant City High School ( now known as the 1914 high school). The club composed of ninety-three charter members and they were literary, benevolent, scientific, philanthropic, civic and social. The club became affiliated with the General Federation of Women’s Club later that year. Representatives of the Woman’s Club approached the city with a proposal. The club would donate to the city more than 2,000 books than in the club’s library collection. They offered to renovate and repair at the club’s expense, the old run down tax foreclosed residence located just one block north of the Central Grammar School. The club had been trying to provide library service in a room located in the school since June 21, 1929, when it opened with only 317 books. A condition for the proposal was that the city dedicate the property to library use. The city was persuaded and an ordinance was prepared by City Attorney G.B. Wells. The ordinance spelled out certain conditions and obligations to be assumed by the city and the club. On January 9, 1933, the ordinance signed by Mayor-Commissioner G.A Caret was duly passed by City Commissioners. The club members provided library service to the citizens of Plant City in the Miller House for the next 27 years. 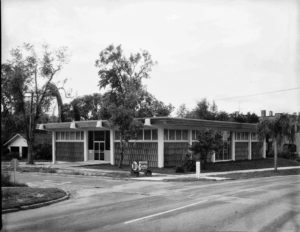 The library has since been named Bruton Memorial Library located at 302 McLendon Street and is a part of the Hillsborough Library System. General Federation of Women’s Club is the world’s largest women’s service organization dedicated to improvement through volunteer service. GFWC clubs set their own agendas, work on projects and programs that address the specific needs of their communities. The GFWC Woman’s Club of Plant City works through six community service programs. Art, Conservation, Education, Home Life, International Outreach and Public Issues.